Last year's success is back. On May 9, Studio Nord is re-converted into a conference room to house Northern Sweden's largest blockchain conference, Blockchain North. On May 9, it is time for the second edition of Blockchain North in Studio Nord in Sävast. - We want to inspire development in the blockchain technology in the region. We hope that there are entrepreneurs who get their eyes on this and create solutions that we humans need, says Nils Lindh, Boden Business Park. The purpose of the conference is to create an ecosystem and make the region a hub for the development of block chain technology in Sweden. - We have research and data centers but we also need innovation and companies and that is what we want to build, says Nils. 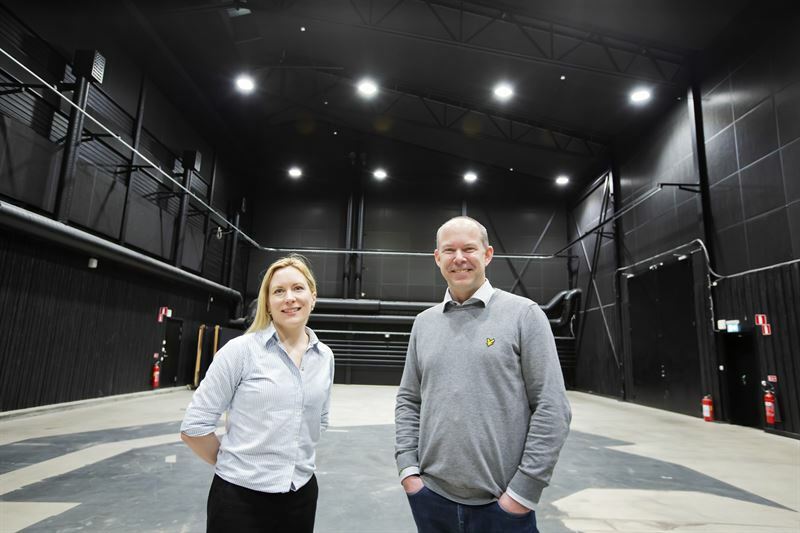 Behind the arrangement is Boden Business Park in collaboration with the project Datacenter Innovation Region at Luleå University of Technology (LTU). - The conference is also to increase awareness of the technology, lift regional companies and tell what is happening here, says Marie Nolin, LTU. The theme of the day is world improvement, with the UN's 17 global goals for sustainable development as a starting point. Among other things, Olof Schelén talks about the research being done on energy efficiency in blockchain technology at LTU. Those who register first get a chance to visit Boden Type Datacenter in the morning before the lectures start at 11.00. Marie Nolin at LTU is particularly pleased to present the main lecturer Sofie Blakstad from Hiveonline who goes up the stage immediately after the inauguration. - She will talk about financing solutions for developing countries using blockchains. She is a very talented speaker and has worked a lot with internet banks for those who are excluded from the system, says Marie. - The possibilities of blockchain technology are endless. What I find most exciting is that it makes it possible to minimize corruption in the world. Sofie is also talking about that, says Nils. He also mentions the lecturer Lotta Lundin at iGrant.io, which concerns the topic Democracy 4.0. - They put the individual in the driver's seat when it comes to their personal data towards authorities and companies, he says. The organizers are proud to have a high proportion of female lecturers, creating an equal conference has been important to them. - We want more women to be interested in blockchain technology, says Marie. The conference is aimed at authorities, the financial sector, small and medium-sized companies in Norr- and Västerbotten and all others who are interested and want to learn more. Visitors get to know more about when to use block chains and not in business contexts and they also get the opportunity to network and create contacts. The place is Studio Nord in Sävast, a film studio that turns into a conference room and as last year the guests gave a spatial experience beyond the ordinary. Then it was crowded and the vast majority of the 180 visitors stated that the conference was better than expected for the evaluation afterwards. - Now we hope that this day will be as successful as last year, says Marie. Moderators for the day are Inger Edlund Pedersen and Anders Granberg. Welcome to cover the event onsite. Read more about the event and the program at www.blockchainnorth.se. Got any questions? Contact one of the organizers.